[Original Story] Last month, Activision revealed all the details on the next Call of Duty Black Ops 3 DLC map pack, which will be called Eclipse. The new DLC pack for the game developed by Treyarch will include four new multiplayer maps as well as a new chapter for Zombies called Zetsubo No Shima, set on a remote Pacific Island. 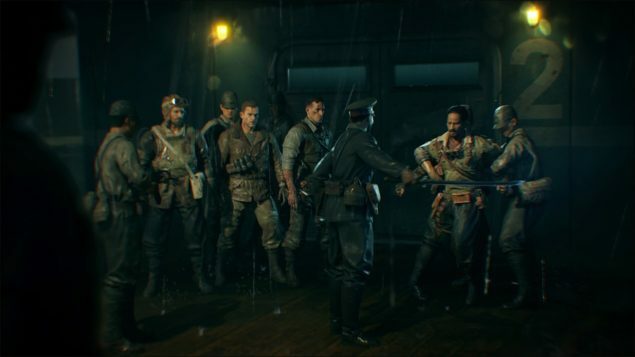 A few hours ago, a new short trailer showcasing this new Zombies adventure has surfaced online. The new Call of Duty Black Ops 3 Zetsubo No Shima trailer is actually a short ad that is currently being displayed on Twitch. While the trailer is indeed short, it does a very good job in getting Call of Duty Black Ops 3 players excited with plenty of action and fearsome enemies. You can check out the new trailer, recorded by YouTube user Fluffy, right below. Among the new maps included in the Call of Duty Black Ops 3 Eclipse DLC pack will be the re-imagining of a classic Call of Duty: World at War map Banzai, Verge. The other three new maps promise to expand the gameplay experience of the Treyarch developed first person shooter considerably with new environments and much more. Verge: In this re-imagination of the classic Call of Duty: World at War map, Banzai, Verge drops Multiplayer combat into the center of a distant post-apocalyptic future, where two warring factions are entrenched in constant battle. Take control of the key bridge, fortresses, tunnel systems and waterfalls as you engage in high-speed action through this medium-sized map. The Call of Duty Black Ops 3 Eclipse DLC pack will be released on PlayStation 4 next week, on April 19th. The PC and Xbox One release has yet to be dated.